Do you know what it means to have closed-based services working for your practice or health system? Cloud computing is the current and future means for conducting business around the world, from financial services to retail to health care. But, what does it mean to be "in the cloud"? And how do benefits increase when services-not just software-are provided through the cloud? 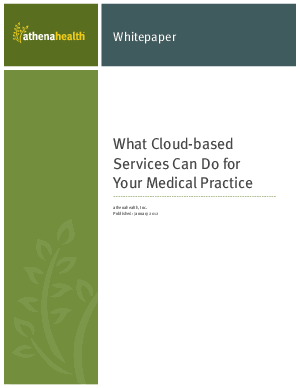 Read this whitepaper to learn how "cloud-based services" harness software, knowledge and work to achieve proven results for medical providers.